Nestled beneath some of the oldest palms in Palm Springs, Avalon Hotel is Californian glamor at its most luxurious – with a contemporary edge. 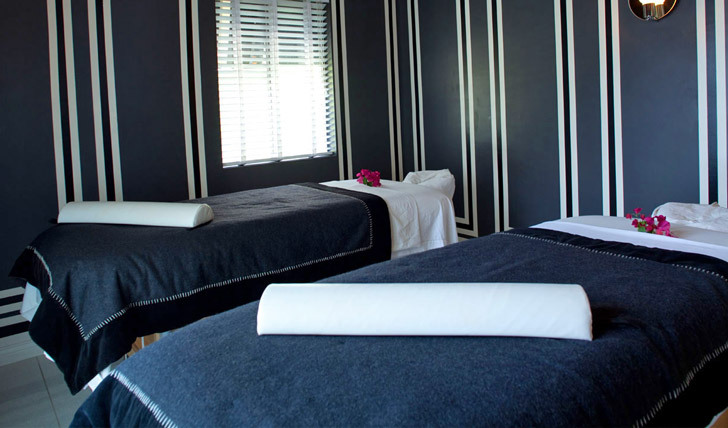 Since its opening in the 1930’s, it has been saluted as the ultimate downtown Palm Springs spa resort. Retro furniture and a minimal palette decorate the 67 suites and villas and along with the Estrella Spa, it provides you with the ultimate spot to unwind and indulge. 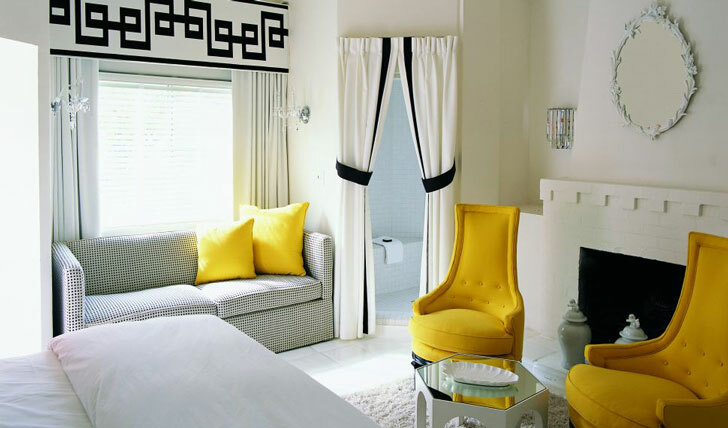 Monochrome with a splash of yellow is the color palette used to create the stylish and calming vibe in your suite or villa. We love the vaulted ceilings, which makes for an infusion of contemporary with regal Hollywood glamor. After a day of exploring the sites of the city, look forward to resting your head on the sumptuous king sized beds, or prop your feet up by the fire place (during those colder months). Fluffy robes are waiting to be worn as you saunter down to your spa appointment at the Estrella Spa, where you can indulge in the signature Estrella scrub.